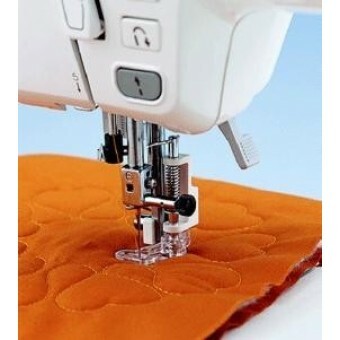 Spring action foot for darning, quilting or free-motion embroidery. Its transparency gives an excellent view of your work. *The adapter for low shank attachment is required for Super Ace e, and Super Galaxie series.